Charles Henry Weiler was born on 19 February 1874 in Lockport, Niagara County, New York. Gottlieb Weiler and Amelia Hyer appeared in the New York state census of 1 June 1875 in Lockport, New York. Other members of the household included Charles Henry Weiler, Wilhelmina Louisa Weiler. Gottlieb Weiler and Amelia Hyer appeared in the US federal census of 1 June 1880 in Lockport, Niagara, New York, at Union. Other members of the household included Charles Henry Weiler, Wilhelmina Louisa Weiler and Anna Weiler. Gottlieb Weiler appeared in the New York state census of 16 February 1892 in Buffalo, Erie County, New York. Other members of the household included Charles Henry Weiler, Wilhelmina Louisa Weiler, Anna Weiler, Clara E. Weiler, Frederick Weiler and Amelia Weiler. He married Frances Julia DesChene, daughter of Lyman DesChene and Ellen Duffy, circa 1901 in Buffalo, New York. Charles Henry Weiler became a widower at the 3 April 1905 death of his wife Frances Julia DesChene. He married Mary Magdelena Hokamp, daughter of Henry Hokamp and Mary Schurman, circa 1905 in Buffalo, New York. Charles Henry Weiler appeared in the New York state census of 1 June 1905 in Buffalo, Erie County, New York, at 470 Plymouth Avenue. Other members of the household included Raymond Francis Weiler and Ellen Duffy. He was employed as a pressman, according to the 1905 census. He was a printing pressman, according to the 1910 census. He was employed as a pressman, according to the 1915 census. 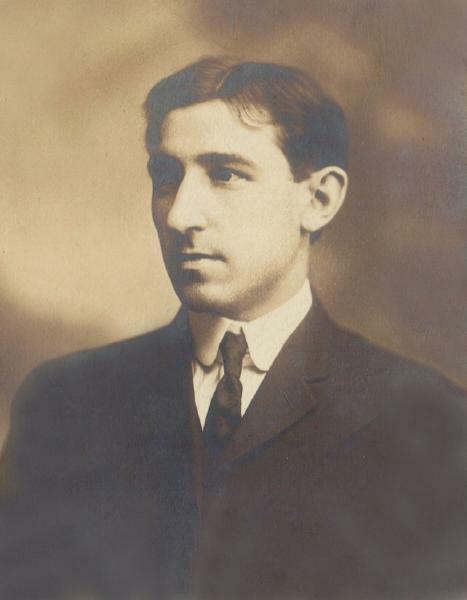 Charles Henry Weiler registered for the draft on 12 September 1918 in Buffalo, New York, while living at 310 Northampton Street, Buffalo, and employed as a printing pressman with J. W. Clement. He was a printing pressman, according to the 1920 census. Charles Henry Weiler appeared in the US federal census of 1 April 1930 in Buffalo, Erie County, New York, at 32 Lovejoy Street boarding in the household of Mabel Pickett. Marital status is recorded as "divorced," but occupation and parents' birthplaces are incorrect, indicating that information was provided by someone in the household who did not know him well. He was a machinist in a machine shop, according to the 1930 census. Charles Henry Weiler became a widower at the 25 March 1938 death of his wife Mary Magdelena Hokamp. Charles Henry Weiler died on 8 March 1939 at age 65 in Buffalo, New York. He was interred at St. John's Cemetery, Cheektowaga, Erie County, New York. The following appeared on 9 March 1939 in the Buffalo Courier-Express: [Died] Charles H. Weiler, March 8, 1939, husband of the late Mary Magdaline Hokamp, father of Raymond T. Weiler, Mrs. Earl Heinicke of Hollidaysburg, Pa., Mrs. Clarence Houser and Norman Weiler of Easton, Pa. Funeral from family residence 202 Kingsley Street, Saturday afternoon at 2:30 o'clock.